Butter is a starring ingredient in many mashed potato recipes, but it adds 11.5 grams of fat per tablespoon to your recipe, and 7.3 grams of that are saturated. It's possible to create a creamy and rich pot of mashed potatoes without all the butter, however. There are several alternatives you can use in place of butter, and while they might change the taste slightly, they'll also improve the nutrition and cut down on the amount of fat you consume. Drizzle your mashed potatoes with a tablespoon or so of extra-virgin olive oil. 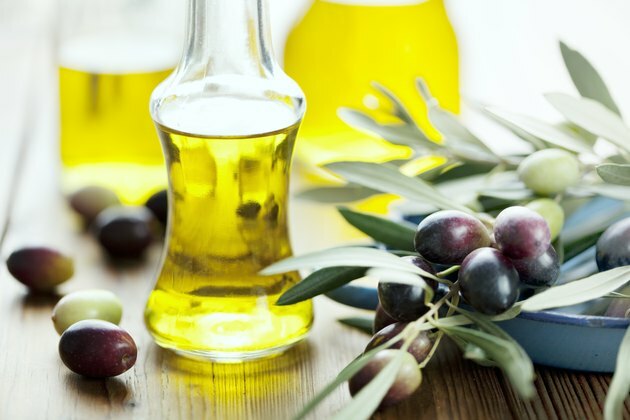 While a tablespoon does contain 13.5 grams of fat, most of it is unsaturated, which is heart-healthy, according to the Harvard School of Public Health. 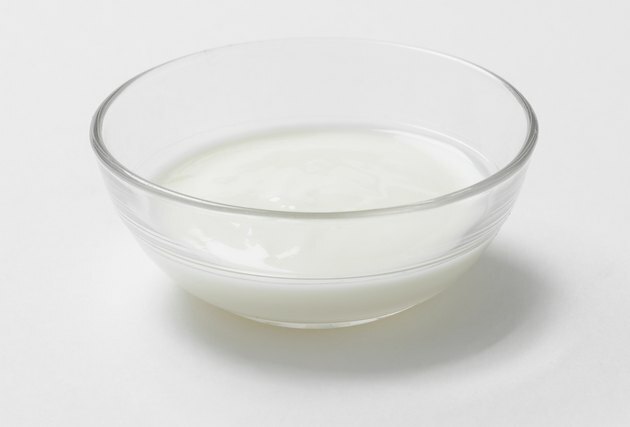 Swap the high-fat butter for fat-free plain Greek yogurt. A 3.5-ounce serving, which is about 1/2 cup, will lend a creamy texture to your mashed potatoes, but that entire amount contains less than 1 gram of fat, as well as a good dose of protein and calcium. Substitute low-fat or fat-free buttermilk or half-and-half in your recipe. These ingredients are creamier than the traditional milk addition, but they'll also infuse the potatoes with a bit of flavor, too. 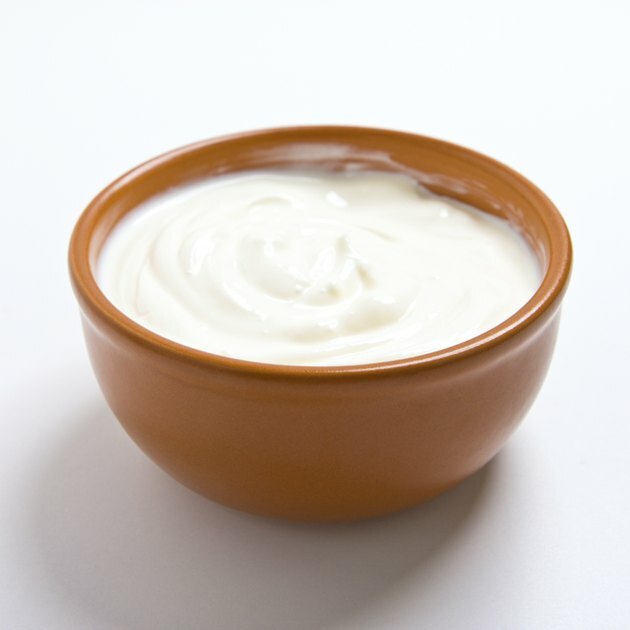 Reduced-fat or fat-free sour cream is another option that will yield similar results. Stir in pureed cauliflower once you've mashed the potatoes. 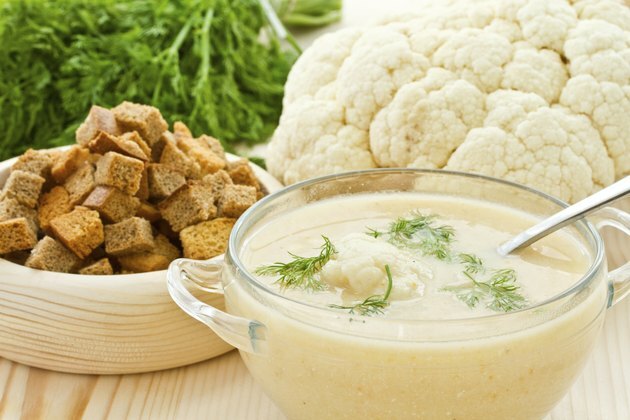 In addition to the flavor of the cauliflower, the vegetable also adds a creamy texture to the potatoes, as well as a good dose of fiber. 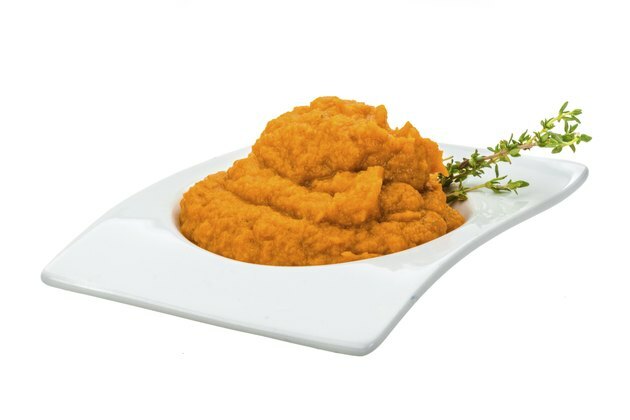 Add pureed squash, such as butternut or acorn, to the mashed potatoes. Like cauliflower, the squash will lend a creamy texture to the potatoes that's similar to the creaminess of adding butter, and it will also increase the fiber and vitamin A content of the dish. The squash will change the color of the dish, however. 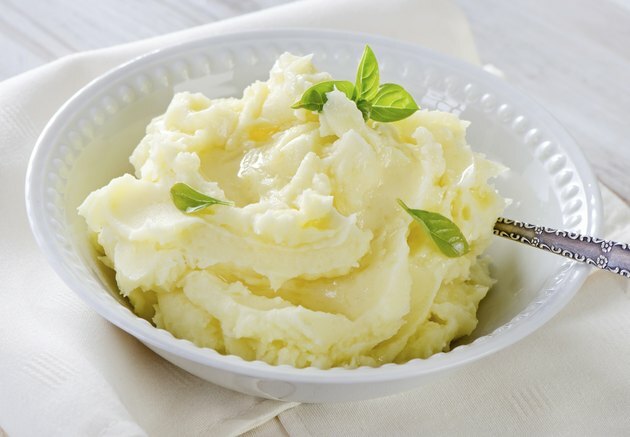 In addition to your butter replacement, season your mashed potatoes with herbs and spices to enhance their flavor. Paprika, garlic powder, parsley and rosemary are a few examples that will pair well with the taste of the potatoes. Don't use margarine to replace the butter. Margarine isn't nutritious, and it often contains partially hydrogenated oils, which are trans fats. According to the Harvard School of Public Health, trans fats raise your bad cholesterol levels and increase your risk of heart disease. Can Olive Oil Be Used in Place of Butter When Making an Omelet?